Although senior citizens and teenage drivers are on opposite sides of the age spectrum, they are very similar when it comes to auto insurance. Both groups are charged the highest premiums albeit for very different reasons. For senior citizens, the premiums go up because of age-related risks such as reduced hearing and vision, slower reflexes, certain age-related health conditions and even the effects of taking medication. All these factors combined mean that a senior citizen is more likely to be involved in an auto accident. The statistics are actually there to prove this assumption. Despite this, many senior citizens still prefer to drive themselves. If you are getting older or want to pay auto insurance for an older relative, here are the important details you need to know. Each State has its own definition of who a senior driver is. For most States, that age is 65. Only a few States go lower than 65, with Georgia being as low as 59. The majority, however, go above 65, with many setting it in the 70s. There are a few who even go above 80. You should find out which age is considered senior in your State, because it will affect other aspects of auto insurance such as the license renewal period. The amount of premium you are charged will depend a lot on the type of car you choose to drive. This is not just for senior citizens but for all auto insurance in general. To get a lower premium, choose a car with a good safety record, and reliable safety features such as airbags and anti-lock brakes. You can actually shop for cars depending on how much they cost to insure. Sport cars and very expensive modern cars will on average attract higher premiums. 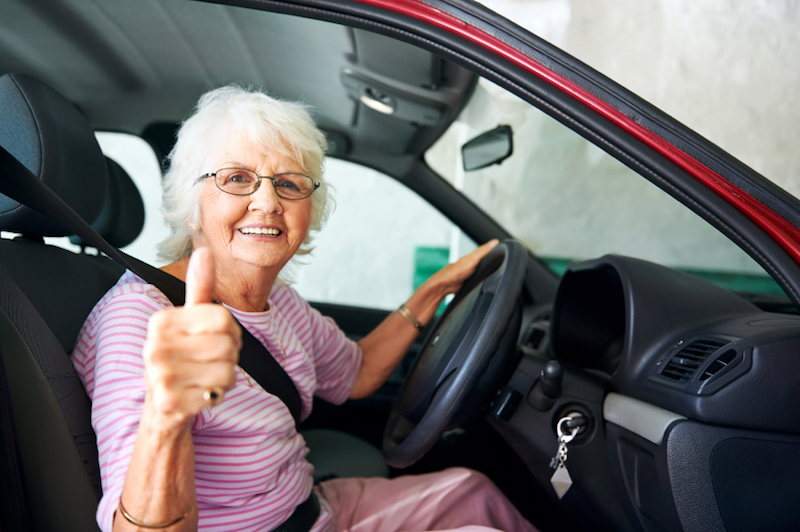 Although the insurance premiums will go up, you will also be eligible for several senior driver discounts. For example, if you are retired and will driving less often, you qualify for the low-mileage discount. Other auto insurance companies have a senior driver discount for people who reach a certain age. If you have maintained the same insurance company for many years, you may also be eligible for certain loyalty discounts. If you want your premiums to get even lower, take a defensive driving class. Some insurance companies usually require senior drivers to take such classes so as to offer them a discount. The classes can be taken online from reputable institutions while others can be offered in person. The good thing is that the classes are inexpensive, and you will recoup your money from the discounts you get on the insurance. If you will driving your car less often than you used to, cutting back on the insurance coverage is a good idea. Of course you can only cut back on the optional covers such as comprehensive and collision coverage, but they will still make a significant difference. You can even look into usage-based insurance programs, whereby rates are set depending on how well you drive and how often. Above all else, remember that different insurance companies will have different packages for seniors, and you should therefore compare and contrast different company's packages.